#TastyTuesday So last month we featured some TASTY Autumn-ish salads - this month we’re continuing with the Fall theme and running wild with APPLES which are just starting to come into season. It is always a good idea to try and take in the produce that is in season and if possible, by supporting local growers - chances are there are less chemicals involved in the growing process and the food is fresher because it has less distance to travel to get to you. 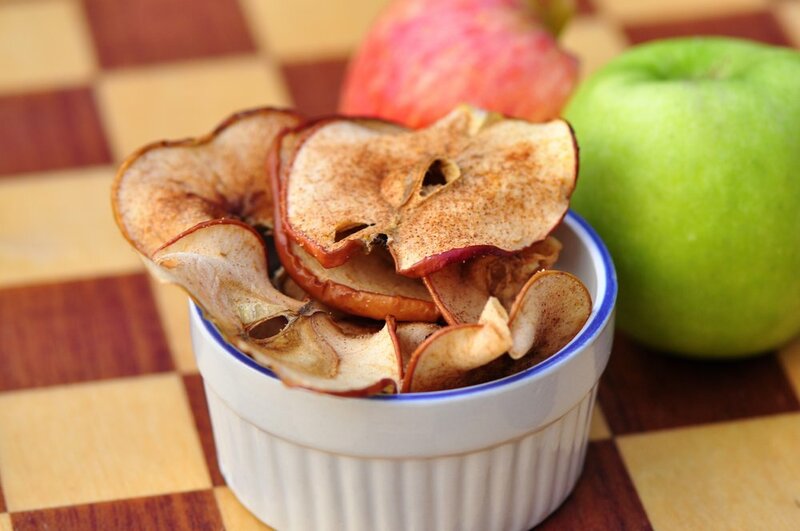 First Up - APPLE CHIPS…I mean, whoa. I’ve made these myself and let me tell you it quickly becomes a “I can’t have just one…” scenario. The recipe I’ve included does use sugar, but honestly, I didn’t use it before, the sweetness of the ripe apples is perfect. Sometimes it is better to let your food speak for itself! While these do take some time, it is super simple and a perfect option for those yard clean up days or Sunday afternoons on the couch watching football we have coming up. We’d love to know what you think of these!! I promise you will get addicted! But in a good…no GREAT way!